Let’s face it. Church websites that lack good photography are boring, and websites with low quality (i.e. cell phone) photos look unprofessional. Your congregation and your visitors are looking for quality images of your church, your leaders, and your people. But what happens when you don’t have a professional photographer in your congregation? Or what if you need some “filler” images to use on your site? I’ll tell you in a minute… But first, a word of warning. Be honest, you’ve done it. Open up Google, search for a picture of a church, download it, and stick it on your website. Early in my marketing career, I asked an assistant to post a blog on one of my client’s sites and to find an attractive image to accompany it. A few months later, my client forwards me a letter from the owner of the image demanding a large settlement (several thousands of dollars) for the use of the image that they had copyrighted. You see, Google images aren’t free. Many of them are copyrighted, and using them on your church website puts your church at risk. Where to find free (or almost free) stock photos. Lucky for you, there are a number of websites out there that offer 100% free (yes, actually free) images to use on your church website or blog. Below are 7 sites that we recommend for finding free or very low cost images for your church site. Note: before using an image on your site, check the license. You’re looking for “Creative Commons ‘No Rights Reserved’” licensing, or CC0. Some images require you to credit the author, and others don’t allow you to make derivative works (i.e. adding text or your logo) to the images. CC0 is a no-holds-barred, do anything license, so you don’t have to worry about getting into copyright trouble. Also note that we’re not lawyers, and we’re not offering legal advice. Do your homework before you click the “publish” button. Clean design and easy to use website. You can easily download images by just hovering on it and clicking the download icon. You can select list view or grid view as the method of displaying results; list view displays images in full width – which offers greater perspective over grid view. This is Rob’s favorite site. See examples on his blog. New photos are added weekly. All images are donated to the public domain. Also offers free videos aside from free stock photos. Note: we used some of Life of Pix’s free stock footage in our demo video. Can you spot it? All photos are free from copyright restrictions – no attribution required. Hundreds of high resolution images are added weekly. Enables users to filter search results by relevance, date, trending, views, downloads, and favorites. Note: Sometimes it’s hard to find the right photo on one of the free sites. Though PhotoDune is not free, it is included in the list due to its very low image price, starting at $1. You can check images by simply clicking on the categories on the top menu. It includes architecture, business, food, health, sports, people, technology, travel, and video footage. Users can also browse popular items, latest items, and top new items, by simply clicking the buttons below the search box. No need to type keywords in order to view these items. 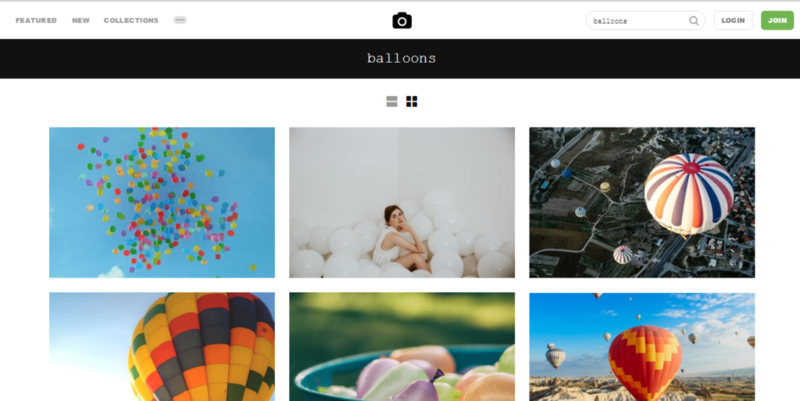 Compared to other sources of free stock photos where users can really start using the images for free, PhotoDune offers royalty-free images starting at $1. Royalty-free means users are only required to pay once, and then they can use the image as many times as they want, however they want – small price to pay to access higher quality images. You can browse photos by color! This functionality is amazing, especially if you need to find an image that matches your church’s color scheme. Pexels also has a category for top photographers, where you can browse all his/her works in one place. 50 new, high-quality stock photos are added on their database daily. Over 690,000 free stock photos, vectors, and art illustrations are available. All images and videos on Pixabay are free of copyright under Creative Commons CC0. You can also download, modify, distribute, and use them royalty free for anything you like, even in commercial applications. Attribution is not required. Users can sort images as vector graphics and illustrations which makes it easier for designers alike to pick necessary elements they need for their work. Free high-resolution pictures can be used on personal or commercial purposes. You can easily click on an image to download the high-resolution version. Capable of autosearch – which means it can display results even though users are still typing their keywords. Have you used any free stock photos in your church designs? Let’s see ‘em! Hop over to our Facebook page or our Instagram page and show off your work! Join our mailing list to receive tips, tricks, and inspiration to help you build a church website that you can be proud of. You're in good hands. We respect your privacy and promise never to share your email address.